Is The Improved VonHaus SAD Daylight Light Box A Worthwhile SAD Aid? 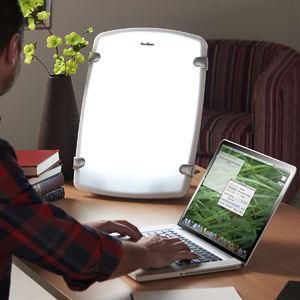 The VonHaus SAD Daylight Light Box is sold as “an effective way to combat Seasonal Affective Disorder…without resorting to medication”. It has 2 36w energy-efficient bulbs to mimic daylight and enough power to last for 8000 hours of use. It also comes with a folding stand, wall mounting bracket and a timer. This seems to be the full package, especially with the new features that have been added, but does it all come together to create an appealing product?